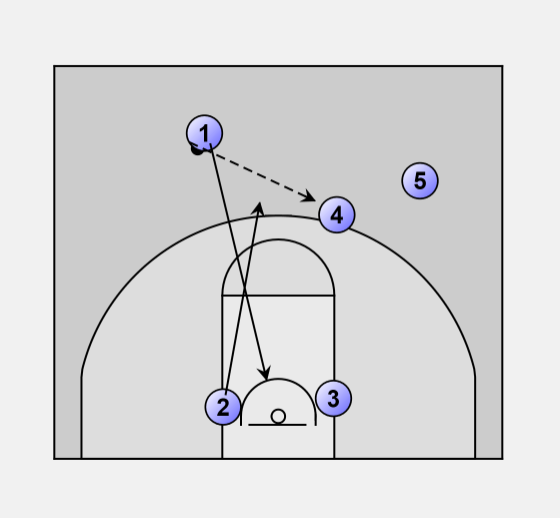 This play is for a point guard post up as the first option and then we will have backside action with the three looking for a three point shot. 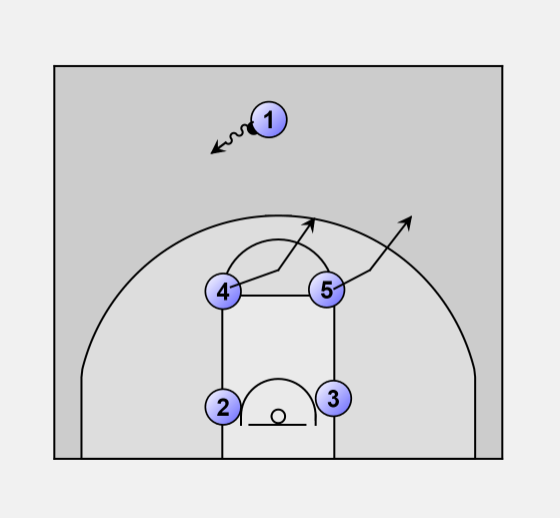 1 will signal the play call and dribble to one side of the mid-line. The 4 and the 5 will take a few steps away from the ball handler and pop out above the three point line. 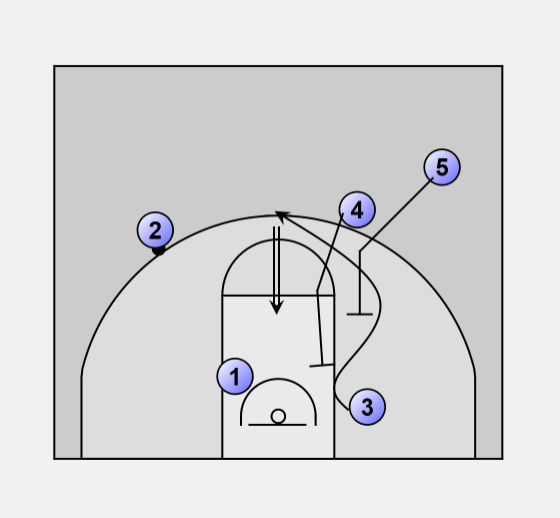 1 will pass to the 4 man of his cut, and then the point guard will dive down the middle of the lane and interchange with the two on the bottom block. 4 will pass to 2 who is immediately looking for the point guard that is posting up. 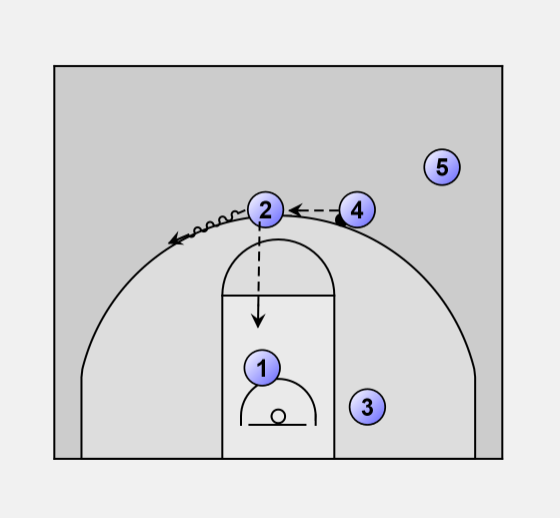 If the 2 cannot make this entry pass to the 1 he will dribble off to the wing. Once the 2 guard dribbles off the 4 and 5 will drop down and set a staggered double screen for the three guard who pops up to the top of the key where he is looking for a shot.